If you’re like most marketers, you already know that using video is vitally important to your company’s marketing. So, what makes a video go viral? Unfortunately, the answer isn’t so simple. Many factors play into a video’s popularity. To discuss them all might require a dozen Parting Shots. Instead, we’ll focus on just one example for now. Question: Where does a gorilla breakdance? Answer: Anywhere he wants. In this case, it just so happens to be at the Dallas Zoo. Primate supervisor Ashley Orr first shared this video of Zola, the zoo’s footloose and fancy-free gorilla splashing around and dancing in a kiddie pool. 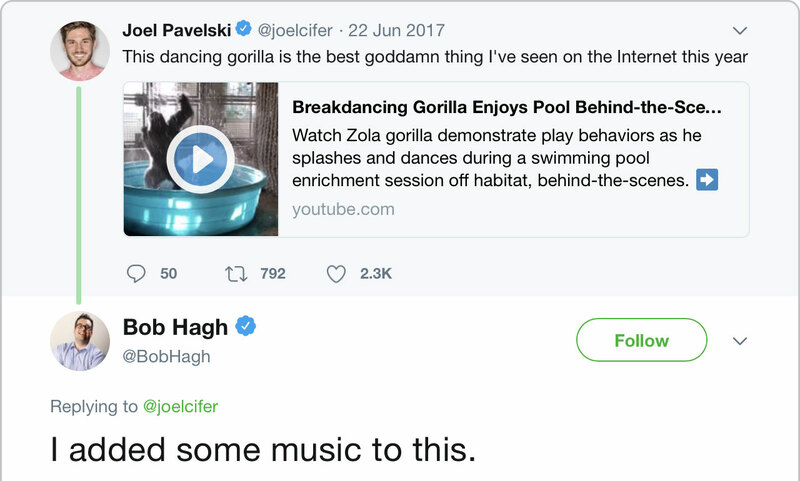 Then, for a quick laugh, video producer Bob Hagh added the Flashdance movie track “Maniac.” Within days, the video was picked up by CNN, Maxim, ABC, and other media outlets. The reason it works so well—other than it’s awesome to see a gorilla going nuts in a kiddie pool—is familiarity. The video and the music triggers a nostalgic memory, and makes us laugh, leaving us with a very positive feeling. When that happens, people typically want to share exactly what they felt with others.